In the early morning heat of the day, the kids and I took a stroll through the garden to harvest. 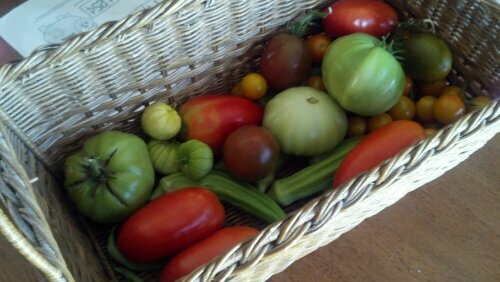 We brought in several tomatoes and tomatillos, a few gigantic okra, a few carrots and 3 green beans. That’s right, 3 green beans.